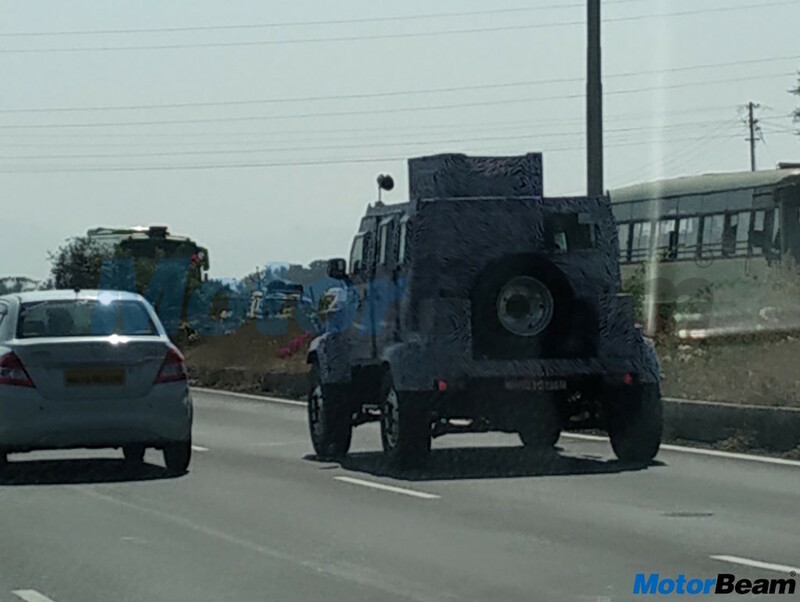 TATA’s new Defence Light Support Vehicle which will likely be called as ‘Merlin’ was spotting testing on the Mumbai-Pune expressway by our reader Amit. The new defence vehicle was spotted testing for the third time. The last time it was spied doing a high altitude test. As per TATA Motors’ official website, the Merlin is armoured with STANAG 4569 Level-1 protection on the sides and the rear. STANAG 4569 is amongst the NATO standards for the “Protection Levels for Occupants of Logistic and Light Armoured Vehicles”. Level-1 armour can cover strikes from kinetic energy, artillery, grenade and even a mine blast. This defence vehicle from TATA certainly looks massive and ready for any terrain and condition. The vehicle is powered by a 3.3-litre water-cooled, direct-injection, common-rail turbo diesel engine which puts out 185 BHP at 3200 RPM and 450 Nm torque at 2400 RPM. It also features a turret on the roof for a 7.62 mm medium machine gun, 40 mm automatic grenade launcher and anti-tank guided missile. Other safety features of the ‘Merlin’ include run-flat tyres with CTIS (Central Tyre Inflation System) and a self-recovery winch. For braking, it is equipped with hydraulic brakes with vacuum assisted brake boosters on all wheels. The defence vehicle has an all-independent suspension. TATA Motors is India’s largest commercial vehicle maker. The company is also the largest supplier of defence vehicles to the Indian Army. The Indian Army recently recruited the TATA Safari Storme into their fleet to replace the ageing Maruti Gypsy.